Lager beer is, for better or worst, the most popular type of beer in the world. Most of the nastiest, cheapest, watery beers produced gigalitre by gigalitre by the enormous multinational breweries around the world are ignominious attempts at brewing lager. During the so-called “craft beer movement” of the last two decades, lager was left behind as ale, especially the strongly-hopped India Pale Ale (IPA), became all the rage. However, lagers are definitely not boring and this is tremendously clear when you visit Germany, the original home of lager beer. No part of the world has a more comprehensive diversity of lager beers, which have been brewed by hand here in Germany, especially in Franconia and Old Bavaria, for centuries in small family breweries. This here is the original “craft” beer! Helles Lager, literally “bright” or “pale” lager, is one of the most popular styles of beer in Germany. It tends to be drunken around Southern Germany, especially since it originated in Munich in 1894; it is therefore quite a modern beer. Helles Lager normally has a bright, straw-like, golden colour with a significant fluffy head and a crisp, bready, slightly yeasty flavour with marginal hop bitterness. Alcohol content is normally just under 5 percent. Export, sometimes called Dortmunder, is often considered a separate style of lager. I consider it a subcategory of Helles since it resembles Helles in almost every aspect apart from alcohol by volume (5-6%). My recommendation: If you ask most (Southern) Germans what the best beer in Germany is, they will undoubtedly answer Augustiner Lagerbier Hell and/or Tegernseer Hell. However, in my humble opinion, Tegernseer is overrated and is not worthy of the praise. I recommend Augustiner Hell‘s slightly stronger and nobler brother, the delicious Export lager Augustiner Edelstoff. Dunkles Lager, “dark” lager, is centuries older than Helles and features a darker colour ranging from light ruby to a deep brown. Munich malts infuse this brew with complex malt flavours which can include coffee, nuts, treacle, dark bread and raisins. Hop bitterness is low to moderate so the malt profile remains dominant and these beers normally have a full, thick, almost sticky mouthfeel. Alcohol content is normally 4-6 percent. 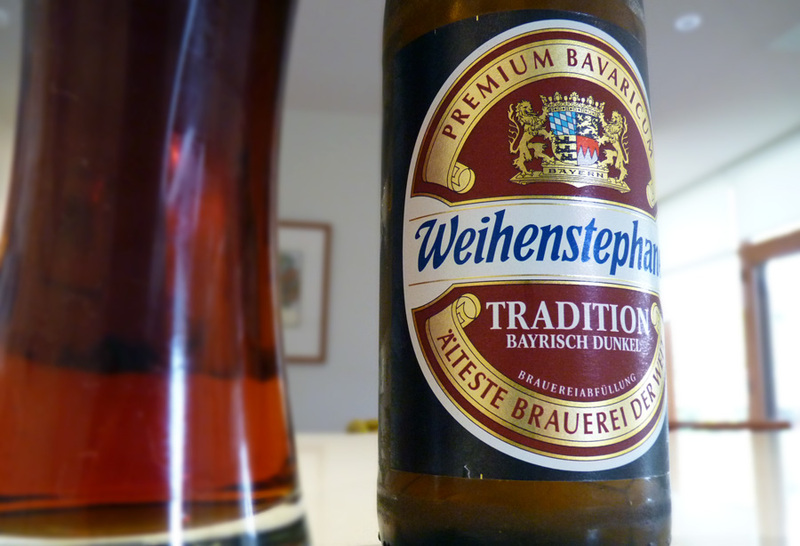 My recommendation: Weltenburger Barock Dunkel, a roasty yet quaffable brew from the oldest monastic brewery in the world. There is some confusion over Pilsner, Pilsener or Pils, even though it is the most popular beer style in the world and Germany (especially Northern Germany). There is a debate over whether Pils is Czech or German, but it is a combination of both. Pils was invented quite recently (in beer terms) in 1842 by a Bavarian brewer, Josef Groll, who was working in Plzeň (Pilsen) in Bohemia. Groll utilised Bohemian ingredients with Bavarian brewing techniques and Pils, the first pale lager beer, was born. In the present day, Czech and German Pils are separate styles of beer with different flavour profiles. German Pils has a grainy and grassy malt profile with a sufficient kick of spicy, earthy, tangy and sometimes metallic hops. Colour is dark gold to light amber, therefore slightly darker than the typical Helles with a similar alcohol content of around 5 percent. This is probably my least favourite style of beer in the world since many of the cheapest, nastiest brews in the world are Pils. My recommendation: Rothaus Pils Tannen Zäpfle, a refreshing and delicious example of an excellent Pils from the German state of Baden-Württemberg. Kellerbier, “cellar” beer, also known as Zwickelbier, is any unfiltered lager that is opaque and cloudy due to the presence of residual yeast sediment. It is sometimes ungespundet (“unbunged”) meaning that some carbon dioxide has been allowed to escape during fermentation and therefore has a lower carbonation. Kellerbier is popular in Franconia, especially in Upper and Middle Franconia. The colour of Kellerbier varies greatly and be anything from bright gold to creamy butterscotch to light amber with a minimal head due to low carbonation. Taste is on the malty side: rich with plenty of bread and yeast; a touch of hop bitterness and a smooth, full-bodied mouthfeel should follow. Kellerbier is usually around 5 percent alcohol and therefore a perfect session beer. This is easily my favourite style of beer in the world. Zoigl is a style of Kellerbier which has been brewed in the north of the Upper Palatinate near Franconia in communal brewhouses for centuries. My recommendation: Spezial Ungespundetes, which must be drunken fresh from the tap at the brewery since they only sell it in bottles on rare occasions. Bock is an interesting family of German lagers. This style originates from Einbeck, in Northern Germany, but became so popular in Bavaria that nowadays it tends to be more common in the south and is brewed during the colder months. Legend has it that Bavarians fumbled the pronunciation of this Einbeck beer so it eventually became Ainpöck, which sounds like ein Bock (a buck, a male goat or sheep). Nowadays many Bocks feature a goat on the label. Bock is distinguished by its strength: the standard Bock is about 6-7 percent alcohol with its siblings reaching over 7 percent and Eisbock can be up to 14 percent. Colour can range from deep amber to black with a fluffy, uneven head and an incredibly strong malt profile with dark bread, caramel, figs, raisins, chocolate, roasted coffee and treacle notes. Hop bitterness is minimal and mouthfeel is thick and almost chewy. Maibock, or Heller Bock, is lighter in colour and is generally brewed for the spring festivals around May. Doppelbock, “double” bock, is an extra strong Bockbeer usually brewed around Lent which can reach up to 8 percent Alcohol. Eisbock, “ice” bock, is a SUPER strong version, as the result of the removal of water from the beer via freezing. Weizenbock is a hybrid style combining Hefeweizen with Bock and technically an ale, so it will be treated later in the Hefeweizen section. 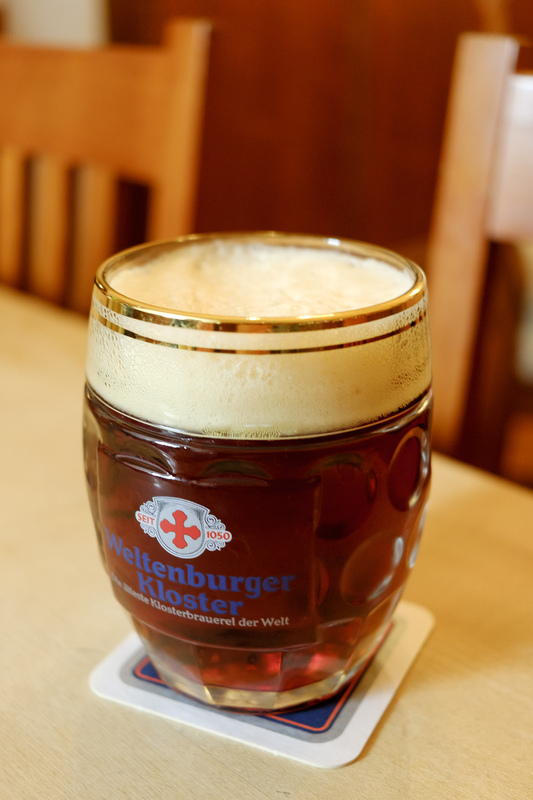 My recommendation: Weltenburger Asam Bock is an excellent example of a rich, fruity Doppelbock with tonnes of character. Schwarzbier, “black” beer, is simply lager that is black in colour and therefore like the lager version of stout. This beer originates from Thuringia and Saxony in Eastern Germany and is brewed with roasted dark malts imparting strong flavours of cocoa and coffee and a moderate amount of hop bitterness. Mouthfeel is light to medium and it is surprisingly refreshing and drinkable. Alcohol content is around 5 percent. My recommendation: Klosterbräu Schwärzla can be found in Bamberg, Upper Franconia. Rauchbier, “smoke” beer, is any beer that is brewed with smoked malts, and therefore can be any style and not necessarily a lager (but most are). Rauchbier originates in and around Bamberg in Upper Franconia; these beers have an extremely pungent smoky flavour and aroma reminiscent of smoked meats and cheeses. These beers are extremely divisive and are either loved or hated. 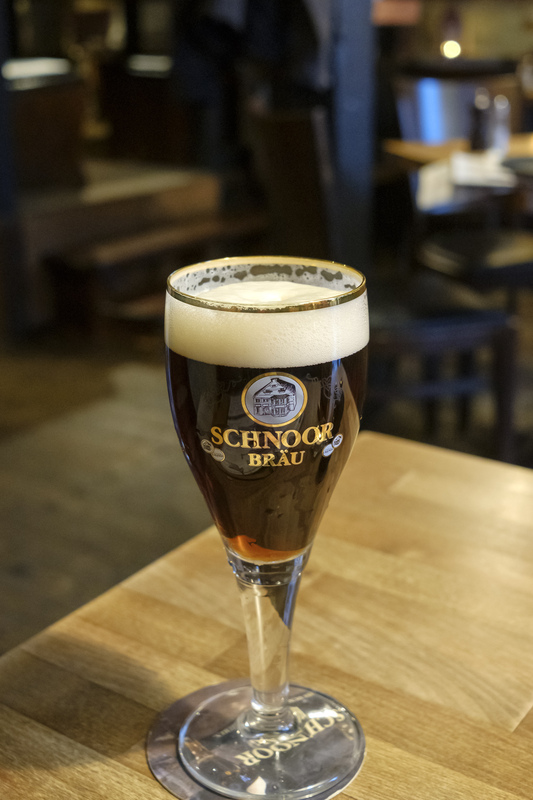 Rauchbier tends to be lightly hopped to allow a full smoky malt experience and is generally darker in colour (black to dark ruby) although it is not impossible to find light amber examples. My recommendation: Aecht Schlenkerla Helles Lagerbier is not technically a Rauchbier since it’s not brewed with smoked malts. It is a regular Helles brewed on the same equipment as smoked beer and therefore has a gentle smokiness which is a perfect introduction for those new to this style. If you’ve been to Oktoberfest, you’ve probably already imbibed a litre of Märzen. 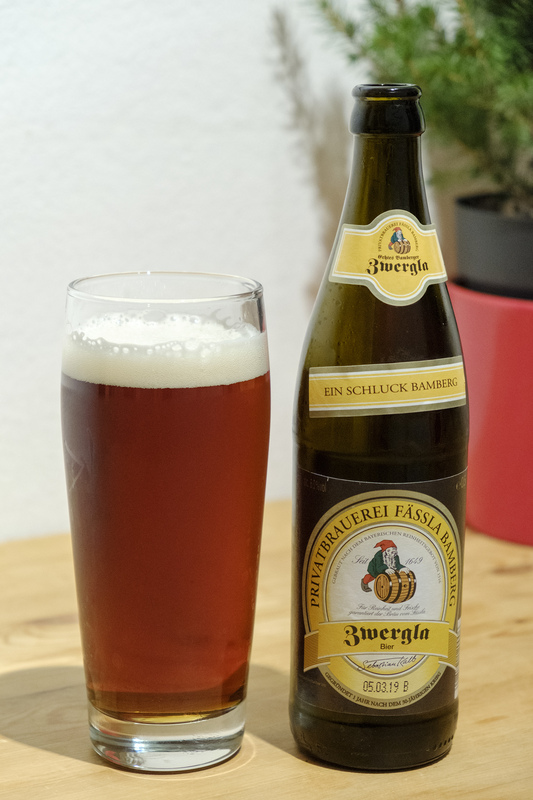 These slightly stronger and darker than average beers (5-6 percent) were traditionally brewed around March, stored underground throughout spring and summer and tapped during Autumn when numerous festivals in Southern Germany commence. Nowadays, many breweries, for better or worse, produce Märzen year round. Märzen is normally dark gold or light amber to dark ruby in colour and very sweet and malty in flavour with basically no hop bitterness. These are beers for getting drunk quickly and efficiency. My recommendation: Grüner Kärwa Festmärzen, which is only available during the annual Michaelis-Kirchweih Festival in Fürth, Middle Franconia. Steinbier, literally “stone beer”, is a very old style of beer where hot stones are added to the brewing liquid to create the wort. These super hot stones give the beer a unique caramelised and slightly smoky flavour. Up to the early 20th century this beer was especially popular in Carinthia and Scandinavia but is now extremely rare due to the archaic techniques and manual effort required to brew it. Originally an ale often brewed with oats, Steinbier tends to now be brewed as a pure barley malt lager and is generally unfiltered. My recommendation: Even though this style is extremely rare and difficult to find (even in Germany), Brauerei Leikeim in Upper Franconia have been producing an excellent version since 2007. The following three beer styles are tenuous creatures and probably do not require their own categories; many beer authorities categorise Landbier together with Keller- and Zwickelbier which is utterly confusing. These three styles could easily be classified under Dunkles since this category already ranges from amber to dark brown. However, this solution is not perfect as Dunkles tends to be associated with Munich and Upper Bavaria. Vienna Lager is not technically a German brew, since it originates from Vienna, Austria. This rare, arcane style is very similar to Helles but with a noticeably darker colour ranging from from light to medium amber. Malts dominate with a slight toastiness and some caramel notes. Hop bitterness is moderate, imparting a slightly dry finish. Fascinatingly, Vienna Lager is much more popular in the USA than in the German-speaking realm. Landbier, “country” beer, is a vague, somewhat confusing term, like “craft beer”, which is often, like Vienna Lager, quite similar to Helles. It is a very profilic beer around Upper and Middle Franconia, as the house-beers of many a brewer are in fact Landbier and not Helles or Pils. Colouration ranges from pale to deep amber. The term Landbier is also used to describe a Helles or Kellerbier. Hop bitterness is, like Helles, quite low. Nürnberger Rotbier, “red” beer, is yet another amber lager which is very similar to Vienna Lager and Landbier except that it is naturally cloudy. This style originates from in and around Nuremberg and was once the most common beers there; it might just simply be the local version of Landbier. The malts are toasty and fruity with some grassiness and some earthiness from the herbal hops. Carbonation is rather low.